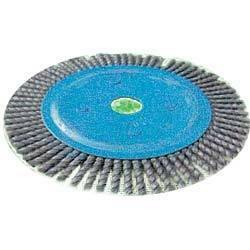 We are a leading Manufacturer of stringer brush from Kolkata, India. Our domain expertise has enabled us to come with a wide range of Stringer Brushes. These brushes are manufactured by our dexterous professionals, who ensure proper utilization of modern machinery and sophisticated technology in the production process. The offered brushes with emboss shape wire twist knot pipeline brushes that gives outstanding service in construction of oil, gas and water pipelines. These are widely used for cleaning up welded seams and specially developed to deal with root-pass and fillet welds. Looking for Stringer Brush ?